Do you ever find yourself in a state of RUNderlust? When you find yourself dreaming of running through the peaceful mountains, running on the beach as the waves crash ashore? Or maybe running through a forest trail, getting all muddy and sweaty? Whatever your desire to explore new routes, or environments, you have RUNderlust! Here is something fun for all you dreamers out there…. 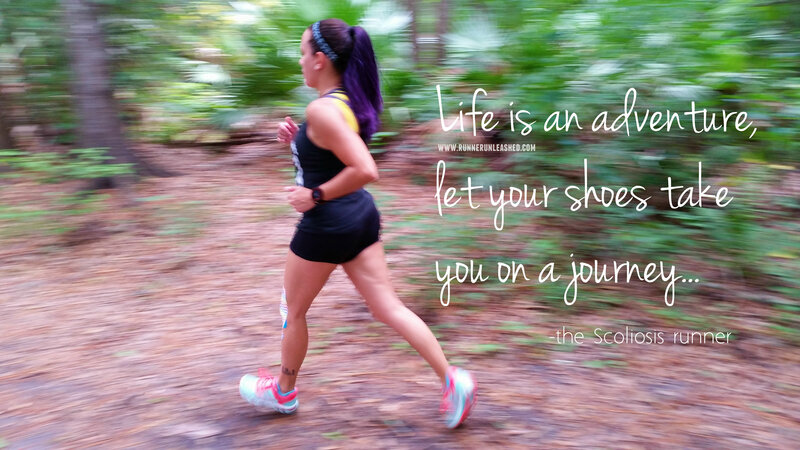 ASICS America wants to see photos of your journey, and inspire others with them! They want to celebrate the adventurer in all of us. Starting on June 21 through September 21, show ASICS America where RUNderlust takes you for a chance to win FREE SHOES!!!! A random drawing will take place once per month for a total three winners. Take a picture of you and your ASICS on a fitness adventure using the hashtag #RUNderlust. You all see photos of my gel-kayanos all the time, so join me in the fun! Take awesome photos with beautiful backdrops, or your fancy new pair of shoes ready to begin a new adventure. Every month of summer (July, August & September) ASICS America will pick a random winner to receive a FREE pair of shoes, so that you are ready for wherever RUNderlust takes you next. Just remember when you post your photo on instagram or twitter make sure you use the correct hashtag, #RUNderlust so you’re entered and make sure to post your photo under that FB photo above. This contest is sa-weeeet! I can’t to see where you all run! Whenever I run, I always embrace and enjoy the scenery. It is part of the calm therapy that running brings. I am always ready to explore new running grounds and look forward to see what adventures you take your ASICS on!